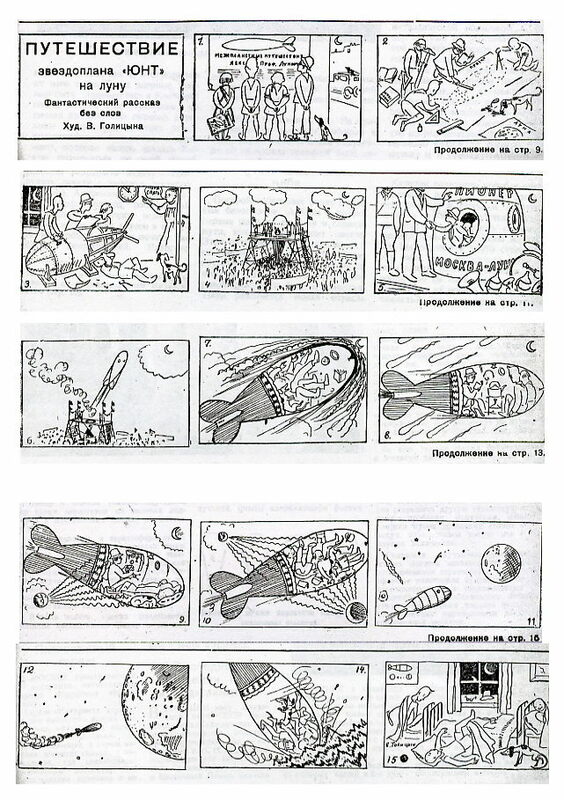 As this week closes, I wanted to highlight that seems somewhat obvious to those with even a casual interest in the history of Russian/Soviet space activities, its incredibly rich visual record. The picture that Andy posted of cosmonaut Shatalov meeting Native Americans in the U.S. in 1974 is one perfect example of that record. I’m posting here 6 images from the pre-Sputnik era which I think capture interesting moments in this long and rich history with appropriate captions. I’ll post some images from the 1960s and 1970s in a separate post. 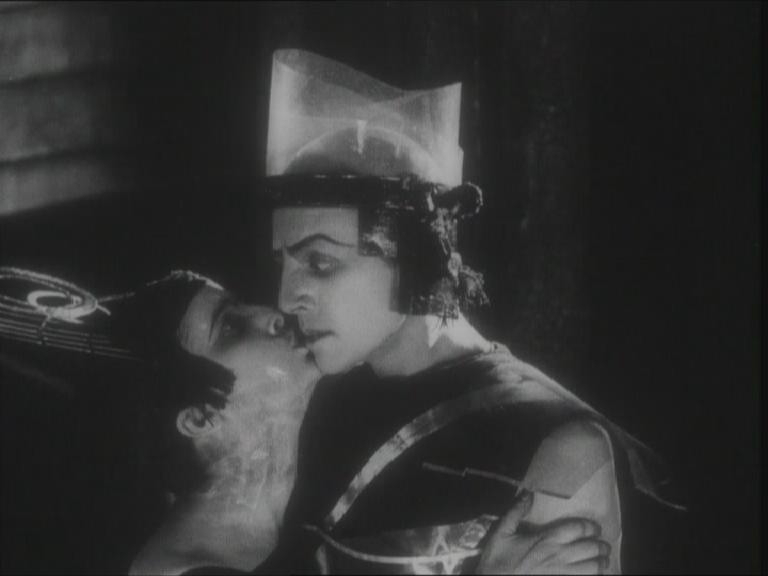 This is a still from Iakov Protazanov’s famous film Aelita (1924), based on the novel of the same name by A. N. Tolstoi. 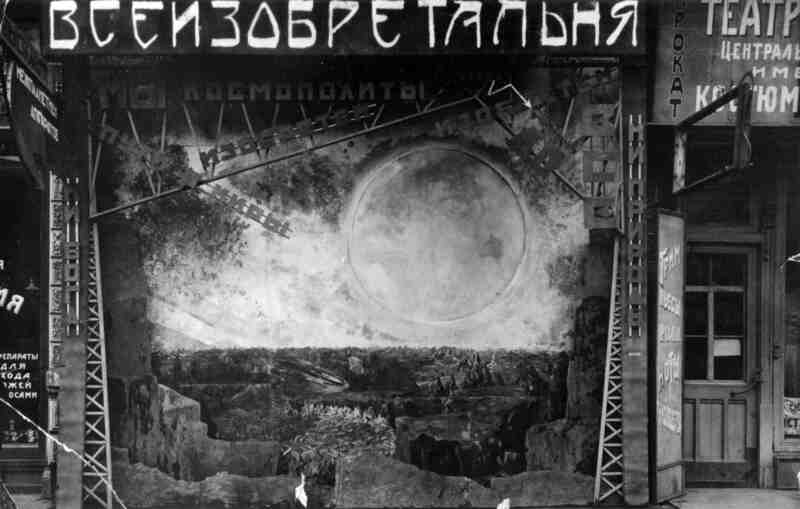 Besides being an important harbinger of a modernist aesthetic in the history of Russian cinema, the movie helped to foster a popular interest in space travel. The actress playing Aelita, the queen of Mars, was Iuliia Sol’ntseva (1901-1989) who would later come a well-known director. 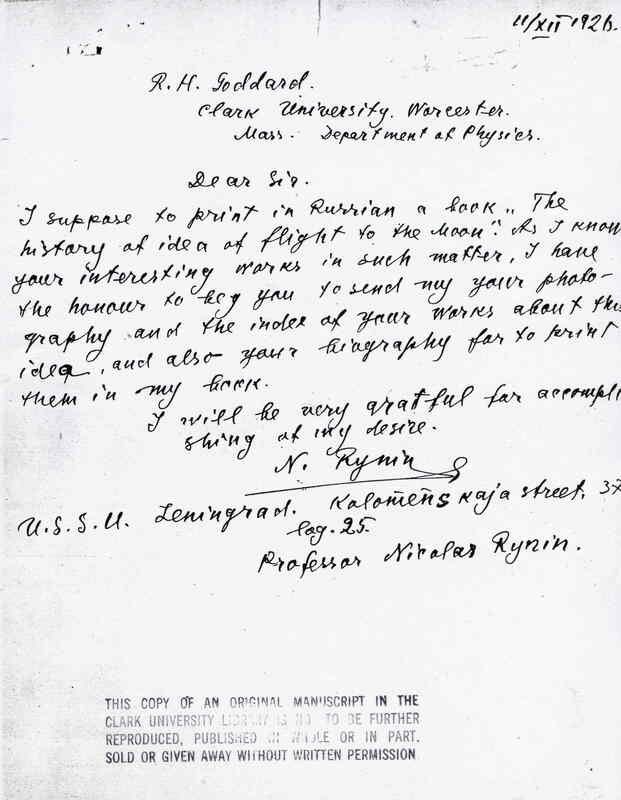 A letter from N. A. Rynin, a well-known science popularizer, to the American rocket pioneer Robert Goddard, asking the latter to send him materials related to his work. Such exchanges across international borders were quite common in the 1920s. The image is courtesy of the Clark University Archives. This picture shows the entrance to the “World’s First Exhibition of Models of Interplanetary Apparatus, Mechanisms, Instruments and Historical Materials,” which opened in Moscow in 1927. The front vista (covering the facade of a store front) showed a speculative drawing of the lunar landscape. By some accounts, about 12,000 Muscovites visited the exhibition. The image is courtesy of Ron Miller. 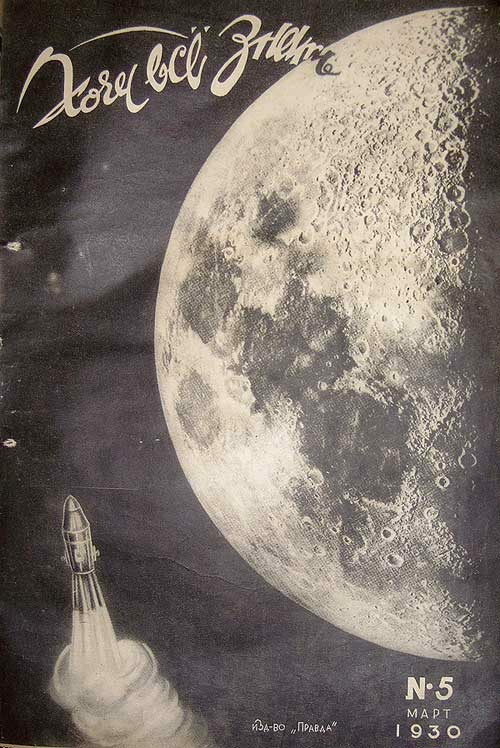 Cover of the March 1930 issue of Khochu vse znat’ (I Want To Know), a popular science magazine. A cartoon from the December 1932 issue of Znanie-sila (Knowledge is Power), a popular science magazine. The message is ambivalent: the kids are inspired to build their own rocket but once they build it and it crashes on the Moon, it’s revealed to be a dream. 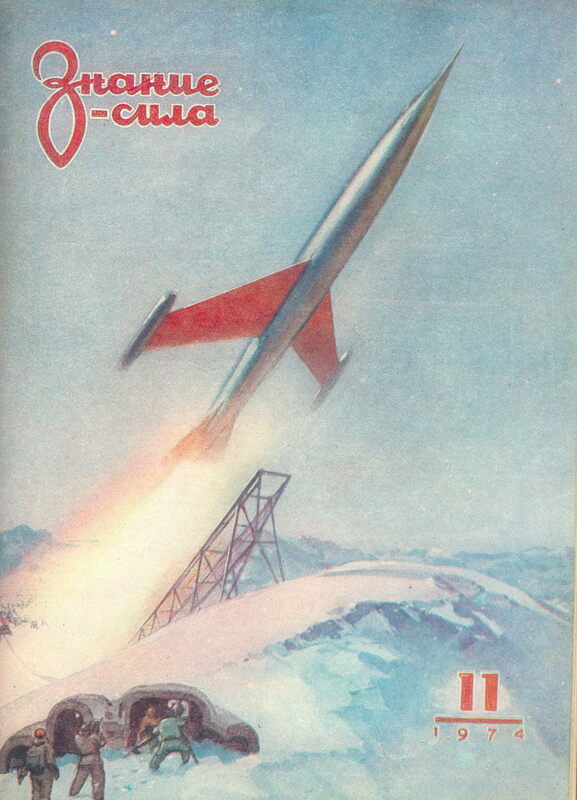 This is the cover of a special issue of Znanie-sila from October 1954 on cosmic travel. Note that the cover is dated 1974; the idea was to devote an entire issue to life in 1974. This entry was posted in Films, Russian Space History, Soviet and Russian Space Flight, Uncategorized. Bookmark the permalink.